1. 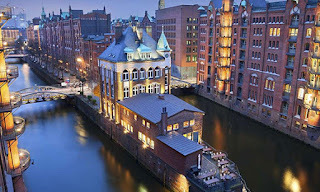 HAMBURG (GERMANY) Hamburg in Germany is ranked in the list of expensive cities yet it is affordable. Hamburg is positioned at number 66 in 247 cities. The city accommodates almost 2 million inhabitants and has a temperate climate. Above all, Hamburg is the most lucrative city for the expatriates. Just take a look at the average cost in the city – whole milk (1 litre at $1.28), coca cola (2 litres at $2.81), rent for apartment of 85 sq. m in an expensive location is $1577 per month, movies for 2 tickets ($26), Marlboro cigarettes (1 pack at $7), branded sports shoes (1 pair at $106), apples (1 kg at $3.27), deodorant (1 roll at $2.48) etc. So, you see the things can be bought at affordable price.